Phone. Work on Paper. Hand Painted Limited Edition by Jason Oliva. 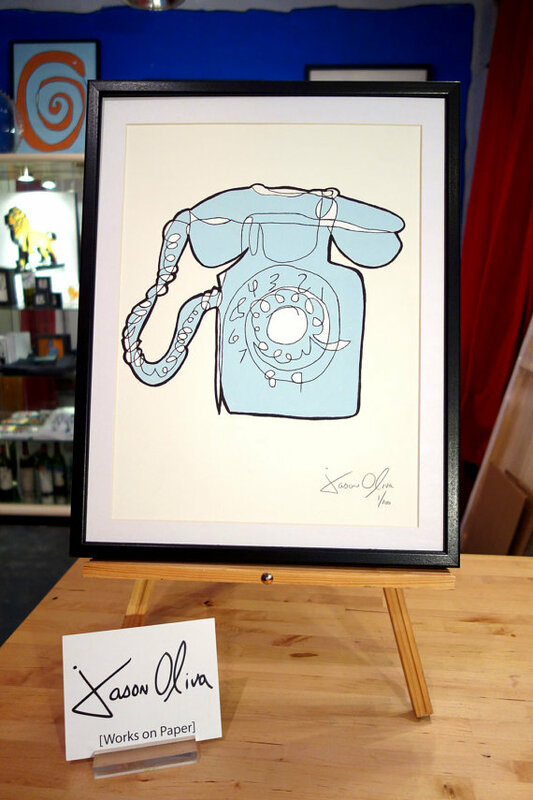 I completed work on the original Phone painting in 2004 while in NYC. It has always been one of my favorite images and one of my most pivotal paintings in terms of development as a painter. The painting is now moving on to its second owner and I am so pleased to finally be able to offer the image as a work on paper after all these years. Phone ($125). Small, framed work on paper in Jason Oliva’s studio. NYC. 2013. Phone ($600). Medium, framed work on paper in Jason Oliva’s Studio. 2013. 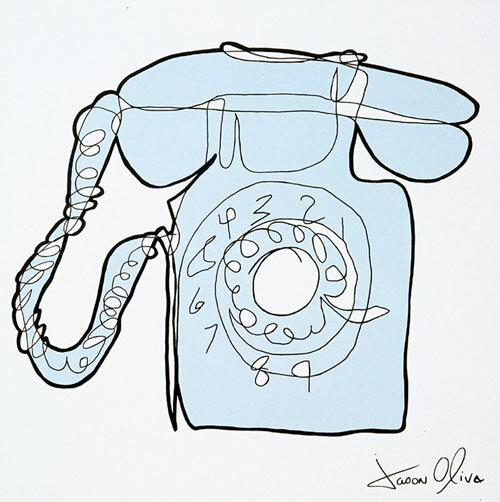 Phone is currently available as both a limited edition of 100 small work on paper and a limited edition of 50 medium work on paper. 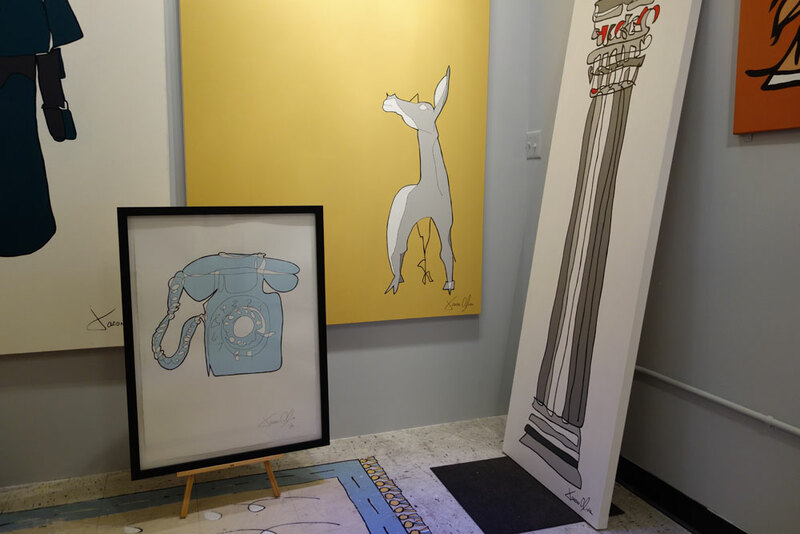 If you would like to view Phone or any of my other works, you can visit me at my studio in Tribeca at New York Vintners, where I also maintain a gallery. Please feel free to just stop by or email me at jasonoliva@ gmail.com. Every Thursday from 5.30pm onward I also operate an OPEN STUDIO. All are welcome. There will be wine! For more details about Jason Oliva Works on Paper, including pricing and how to purchase, please follow the link.